A busy week for new releases in Utah theaters features an adaptation of a book by a Utah author. 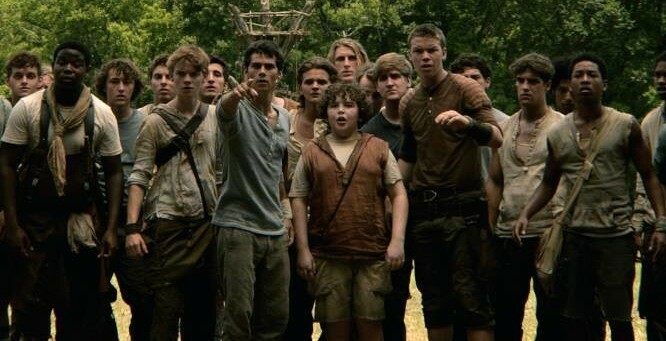 Scott Renshaw says that Wes Ball's adaptation of James Dashner's The Maze Runner (pictured) captures all of the book's propulsive storytelling energy, delivering solid action before a more muddled conclusion; also check out an interview with Dashner. A Walk Among the Tombstones may have Liam Neeson in familiar tough-guy mode, but it's a more grimly atmospheric detective story that gives him a chance to show his acting range. And Israel Horovitz's adaptation of his own play My Old Lady allows Kevin Kline too much room to ham up a performance that should have been more haunted. Andrew Wright finds a few creepy moments in the body horror of Kevin Smith's Tusk, but the filmmaker's self-indulgence eventually takes over the movie. Danny Bowes says you're not going to find anything you haven't seen before in the tedious The Disappearance of Eleanor Rigby: Them, combining two parts of a his-side/her-side relationship arc starring Jessica Chastain and James McAvoy. In this week's feature review, Scott Renshaw focuses on the unique screen presence of Adam Driver in the middle of the over-stuffed, sometimes frantic dramedy of This Is Where I Leave You.